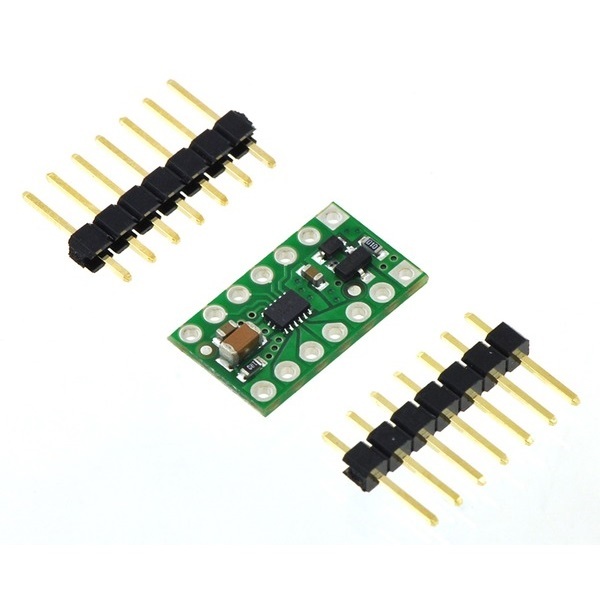 The Pololu DRV8835 Dual Motor Driver is a tiny board that can deliver up to 1.2A per channel to your robot's motors. 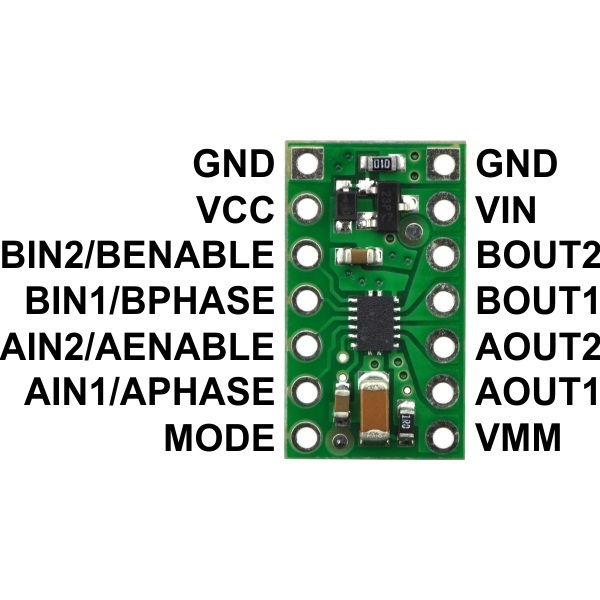 Featuring the Texas Instruments TI DRV8835 dual low voltage h-bridge IC, this board can be used by 3V and 5V microcontrollers to control motors with voltages from 2V to 11V. It has built- in protection against reverse-voltage, under-voltage, over-current and over- temperature. 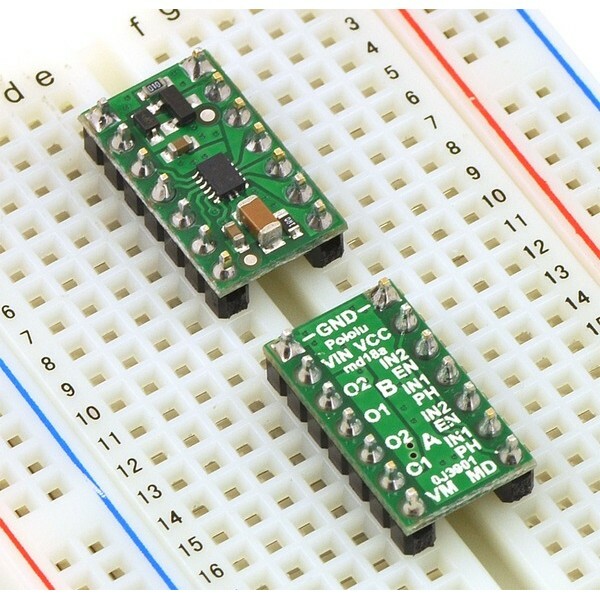 This tiny board is about the size a 14 pin DIP chip and is breadboard friendly. The DRV8835 features two possible control modes: IN/IN and PHASE/ENABLE. By default, the board is configured to use the IN/IN mode. We recommend using the PHASE/ENABLE mode for most purposes which is selected by setting the MODE pin high. 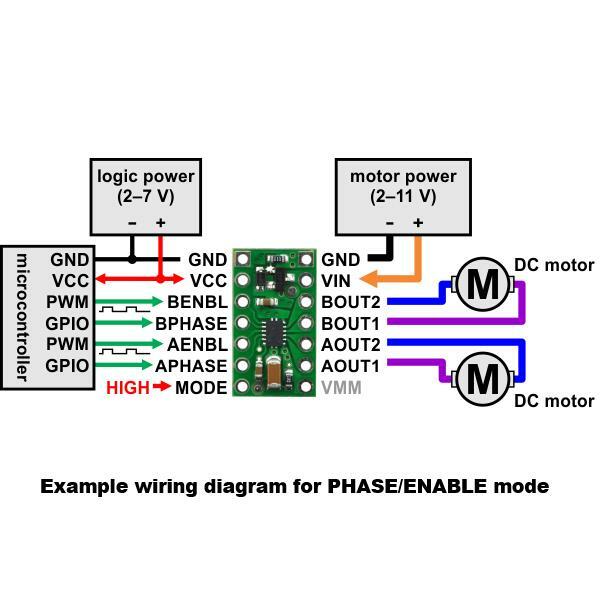 In this mode, the PHASE inputs determine the direction of the motors and the ENABLE pins supply a PWM signal to control the motor speed. This tiny board comes with optional male header pins that require soldering.